← 4 x come work with me! 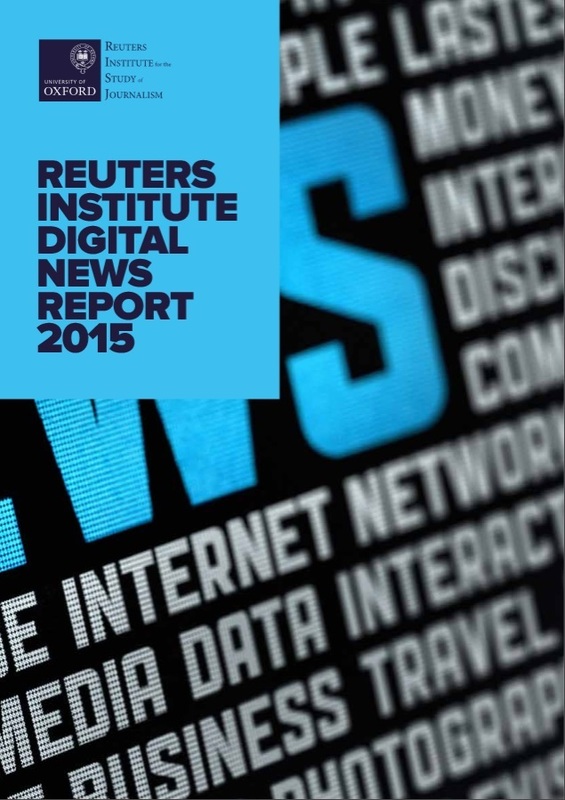 The 2015 Reuters Institute Digital News Report is now out. We are launching it in London and will discuss it around the hashtag #risj15 on Twitter. 1) An accelerating move to mobile web use, with desktop use (for news) down and tablet use stagnant in many countries. 2) The increasing importance of digital intermediaries like search engines and social media, more than anything Facebook, in how people find news online. 3) Mounting commercial challenges for news media in terms of the move to mobile (where advertising is even more difficult), the rise of ad-blocking software, and no significant increase in the number of people paying for digital news. The main report, written by Nic Newman with input from David Levy and myself and research support from Richard Fletcher is available on our dedicated website digitalnewsreport.org. There, you can also find supplementary essays by BBC Heads of News James Harding, Director of the Two Center for Digital Journalism Emily Bell and others, as well as interactive graphics with the data and data from previous years. Everything is also freely available for download. Thanks to all our partners for supporting this project. We hope it will be of use to journalists, media professionals, researchers, and anyone else interested in the future of news.